Whether you’re a teacher looking for curriculum connections or a book club organizer looking for a new selection with ready-made discussion questions, we have the resources for you! The links below provide direct, free (!!!) access to educator’s guides and discussion questions for a variety of middle grade and young adult titles, all published in 2016. Printable Release Calendar for September! Here’s our handy printable release calendar to help you keep track of all the sweet September debuts coming at you soon! Thanks to our printable calendar team: Sarah Alexander, Jenn Nguyen, Dee Romito, Shari Schwarz, Kathy MacMillan, Randi Pink, Ava Jae, and Marieke Nijkamp! Paula Garner spends most of her time playing with words and food, despite being surrounded by an alarming TBR pile and a very bad cat. Paula is represented by Molly Jaffa of Folio Lit, and lives in the Chicago area with her family. Paula’s debut, PHANTOM LIMBS (Candlewick, Sept. 27, 2016), is a contemporary Young Adult novel. Sixteen-year-old Otis copes with grief by swimming, training to fulfill the lost Olympic dream of his tyrannical one-armed friend/self-appointed coach, Dara, but her hold on him is threatened when his first love comes back to town, forcing Otis to face the tragedy that drove them apart. Favorite book growing up: She never would have been able to pick just one! Favorite things to do (other than reading): Consuming things and making things to be consumed. Surprising personal fact: The summer she turned sixteen, she worked for a chimney sweep. Greatest thing about being a 2016 debut author: Sharing a debut year with so many other talented writers! 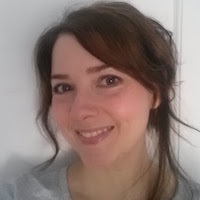 Isabel Bandiera will be signing BOOKISHLY EVER AFTER in the autograph area, Table 14. Robin Yardi will be signing THE MIDNIGHT WAR OF MATEO MARTINEZ in the autograph area, Table 12. Julie Leung will be signing MICE OF THE ROUND TABLE: A TAIL OF CAMELOT in the autograph area, Table 10. Paula Garner will be signing PHANTOM LIMBS at the Candlewick Booth (#1529). Jeff Giles will be signing THE EDGE OF EVERYTHING in the autograph area, Table 6.